Delhi Capitals now have 6 points from 5 matches. 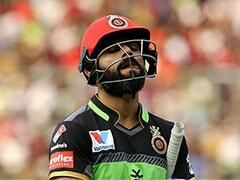 Royal Challengers Bangalore, still without a win, are stuck on 0 points. 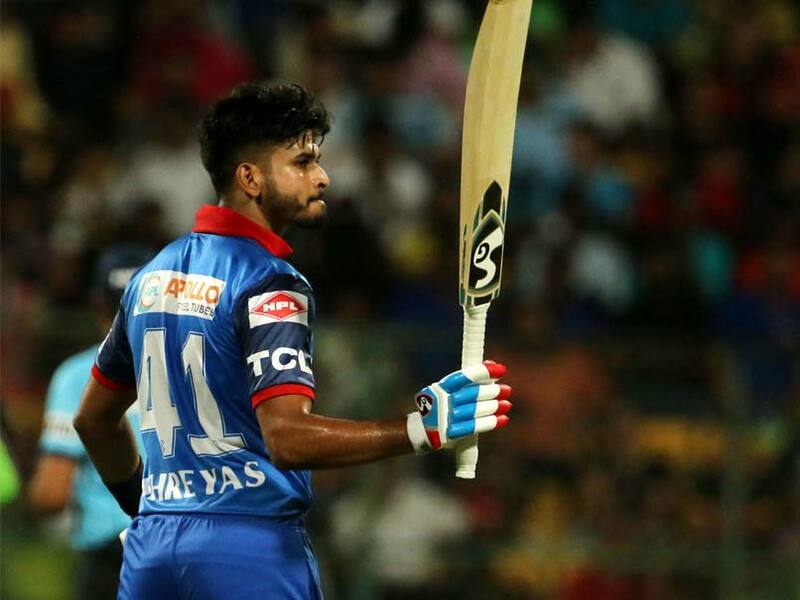 Chasing 150 for victory in their IPL 2019 match against Royal Challengers Bangalore at the M Chinnaswamy Stadium, Delhi Capitals rode on skipper Shreyas Iyer's 50-ball 67 to get to victory with 7 balls to spare. 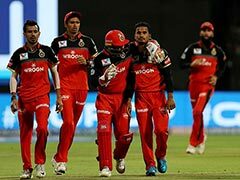 RCB, now having lost six consecutive matches, are stuck at the bottom of the table with 0 points. DC, now having won three matches in six, are now at fifth position on the table with 6 points. The visiting team looked moments away from another last-moment implosion as a spate of quick wickets towards the end seemed to inject some excitement into a match the result of which looked to have been a foregone conclusion. However, the DC lower order held their nerves to canter to victory with seven balls to spare. 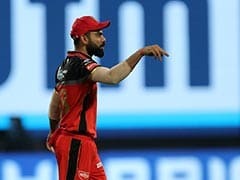 RCB batsmen found the going tough on a tough wicket after being invited to bat first and could only manage 149 for 8 in the stipulated 20 overs. 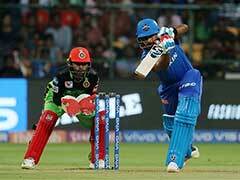 With the ball not coming on to the bat, Kohli scored almost a-run-a-ball before hitting two sixes late in his innings, consuming 33 balls for his 41. Had it not been for Kohli and Moeen Ali's contributions, RCB would have been in deep trouble. Ali hit a 18-ball 32. Iyer anchored the chase with some crucial partnerships as Delhi overhauled the target with 10 balls to spare. Iyer smashed eight fours and two sixes in his 50-ball innings which helped Delhi grab the fifth place in the points table, snapping a two-match losing streak where they lost to Kings XI Punjab and Sunrisers Hyderabad in the last two games. 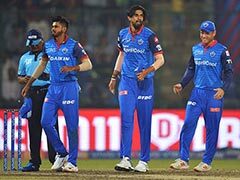 With just five runs needed, Delhi survived some anxious moments after losing Chris Morris (0) and Pant - both trying to clear the in-field and perishing in the process. Axar Patel then smashed a four to take Delhi home. Earlier, Kohli played an uncharacteristicly sedate knock. Ishant Sharma was economical upfront, while Chris Morris was a bit expensive though he sent back Parthiv Patel (9), who slogged hard at a widish delivery and found Sandeep Lamichhane on the boundary ropes. Young Rabada was introduced to bowl the last over in Powerpay and he got his national teammate AB de Villiers (17). Kohli was still there but the runs came only in one and twos. In nine overs, RCB scored just 53. Marcus Stoinis hit only second six of the innings by lofting one from Lamichhane over long-on. Stoinis went after Axar Patel too but ended up giving a catch to Rahul Tewatiya. The Nepalese spinner, though, had him stumped soon on a googly. Kohli smashed two sixes off Lamichhane, who bowled first one in slot and the second one very short. 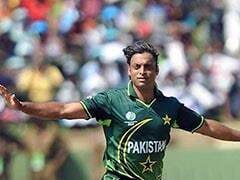 However, Rabada dismissed the rival captain, Akshdeep Nath and Pawan Negi in one over.